Google has launched a new service that it hopes will encourage more businesses to get started on pay-per-click (PPC) marketing. AdWords Express is aimed at companies that have never used paid search advertising before. Originally branded as Google Boost in tests dating back to October 2010, the platform invites users to provide basic details about their business and submit text for their PPC ads. The service, described by the company in a blog post as "a faster and simpler way to start advertising online in under five minutes", is currently available in the US only. Once the campaign goes live, it will then be automatically managed by AdWords Express. This lack of customisation means the service is likely to appeal primarily to small businesses with low advertising budgets rather than larger companies that rely on experienced PPC account managers. Mark Baker, online marketing manager at theEword, gave a cautious welcome to the rollout. He said: "It makes sense for Google to launch an entry-level PPC service that can be used by small companies. 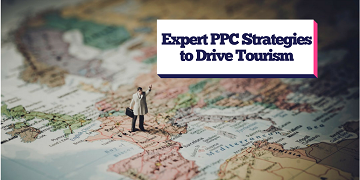 Once these business owners start seeing results, however, I expect they'll want to bring in knowledgeable PPC marketing experts to optimise their campaigns and maximise returns." AdWords is by far the UK's most popular PPC platform, owing largely to the fact that Google enjoys a dominant position in the UK search engine market. According to Hitwise, the company accounted for 92 per cent of all searches in Jul 2011, compared to just 3 per cent for Bing and a further 3 per cent for Yahoo.